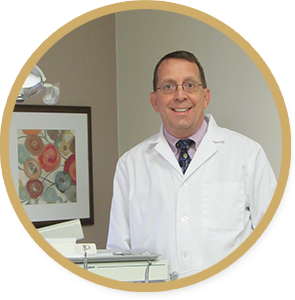 Dr. Dennis Done was born and raised in the Des Peres/Kirkwood area. He attended Chaminade High School, the University of Missouri-Columbia, and Southern Illinois University School of Dental Medicine. Dr. Done is a third generation dentist. His maternal grandfather, Dr. Thomas Purcell, was the dean of the St. Louis University dental school in the 1940's. His father, Dr. H.R. Done, established his dental practice in Kirkwood back in 1945; Dr. Dennis Done joined the practice in 1986. So Dr. Dennis Done is treating some patients that are the fourth generation in the practice! Dr. 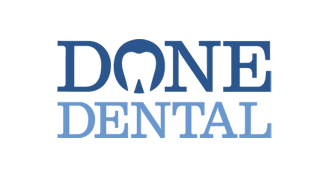 Done is a member of the American Dental Association, Missouri Dental Association, and the Greater St. Louis Dental Society. He takes many hours of continuing education courses each year to keep up with the latest developments in dentistry. In his spare time, Dr. Done likes to spend time with his family. He and his wife, Sue, are the proud parents of two daughters and a golden retriever. Dr. Done likes all sports, especially the Blues, the Cardinals and the Mizzou Tigers. Jeanette is the office receptionist. She has been with the office since 2012. She will help you with all your scheduling needs. 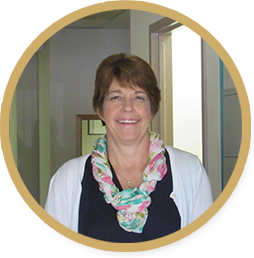 Jeanette also is in charge of processing dental insurance claims and billing, so get on her good side. 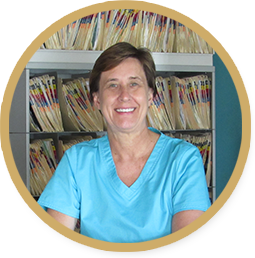 Sue is the dental assistant and came to our office with over 8 years of experience. She has been in our office since 2008. Sue is very good at trying to make every patient as comfortable as possible. She is responsible for assisting Dr. Done chair side and with keeping Dr. Done in line. Annie is our dental hygienist. She has been in the dental field since 2010. 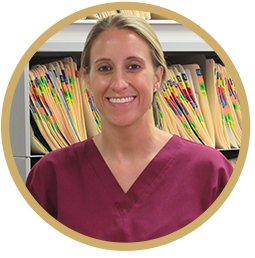 As a dental hygienist, Annie believes in providing every patient with individual, specialized treatment adhering to the highest standard of care. She strives to provide thorough, yet comfortable cleanings.